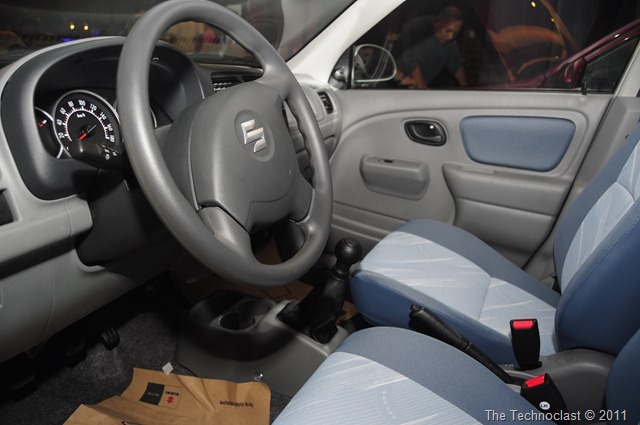 Suzuki recently launched a new iteration of the popular Alto brand of compact cars – the Alto K10. The said K10 version will have a new 1.0L powerplant, which is over the previous iteration’s 800cc. The extra 0.2 liters is rated to bring in about 20 extra horsepower to the small car and improve its performance overall. Rounding out the new upgrades include cosmetic touches in the front, headlamps, rear, dashboard, and interior to make it look sportier. It is available now for PHP 439,000 and comes in Silky Silver, Dazzling Red, and Sunlight Copper Metallic. The Suzuki Alto K10 is probably the version of India’s Maruti Suzuki K10. Maruti Suzuki is an official licensee of the Suzuki brand and have been making Alto’s for their Indian market very successfully. The K10 is their newest design packing in the new 1.0L engine. The extra 20 horsepower should appeal to consumers who wished for more power from the popular budget alto design. The new Alto K10 is now rated at 68HP (@6,200RPM) with a maximum torque of 90Nm (@3,500RPM). Along with the upgraded engine, the body and interior have been changed to reflect a more aggressive look. On the front you get eagle eye headlamps, chrome front grill, and extended bumper. On the back you get a new tailgate garnish and clear lens tail lamps. Inside you get a new instrument panel with tachometer, 3-spoke steering wheel, new sporty shift knob, and the upholstery is made of what they call as “cool blue fabrics”. The new Suzuki Alto K10 should be available now for the aforementioned PHP 439,000 in Silky Silver, Dazzling Red, and Sunlight Copper Metallic. Check them out at your nearest Suzuki retailer!